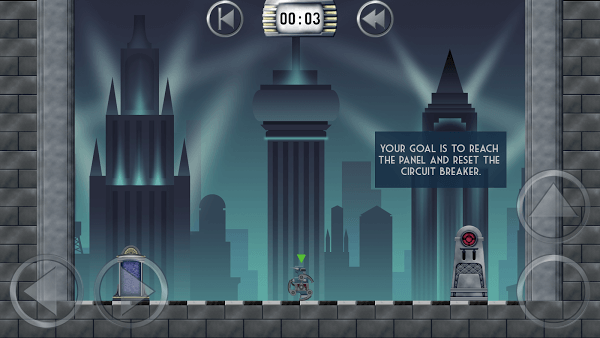 Attempt for Android is a puzzle adventure game released by Infinity Pi Ltd. The game takes place in the city where you live being heavily destroyed, and of course, no one can survive in this city anymore. All people will have to evacuate to a safer place. 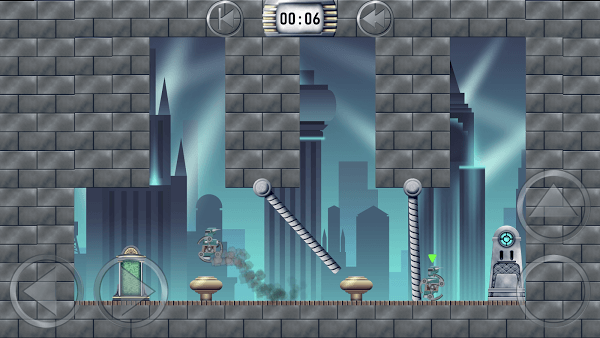 In the game, you will play the role of a little robot getting lost as everyone, you will have to cross the ruined city with a lot of obstacles as well as traps. Seeming to be simple but the way to play the Attempt is extremely difficult. It is quite similar to the famous game, LIMBO. The dark city will always contain thousands of hidden dangers, ready to bury you anytime. Use your intelligence to find the shortest and safest paths, and don’t forget that time is a very important matter, you need to be quick to win. With more than 40 levels and always updated in the new version, players will take a long time to overcome the ruined city. The graphic of the game is a beautiful 3D design with dark color along with the authentic sound. It will definitely attract players. Use the orient control keys on the screen to fly, jump, move to left or right as you want. Attempt for Android is available for $3 on the Google Play Marketplace, but you can download and install it for free with the APK file we provide below. With the latest version, it fixes and improves a lot more than the old version.